Have you ever eaten dirt? 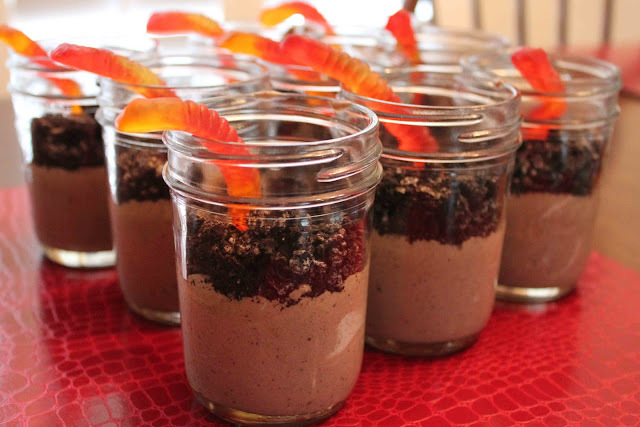 No, I’m not talking about dirt from your backyard, I mean Oreo “dirt” pudding cups. As a kid, I would help my mom make dirt pudding since it was so easy. My sister helped too. She would go out in the backyard to dig up real dirt! I can’t remember if Brittany was serious or being funny. Haha. Last weekend I was craving something sweet, something that contained Oreos, and something that was semi “healthy”. 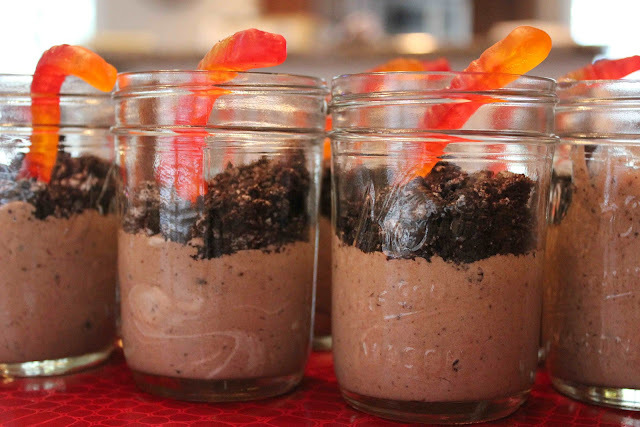 Well, these dirt pudding cups satisfied that craving! I used skim milk paired with non-fat instant Jell-O and bought fat-free Cool Whip to “lighten” things up. 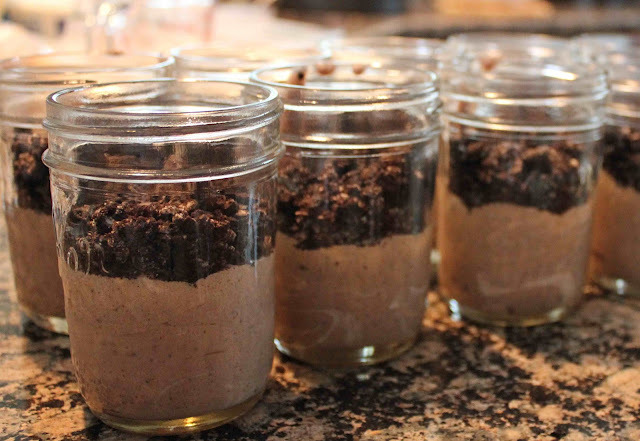 Like I mentioned, “dirt” is super-simple to make! 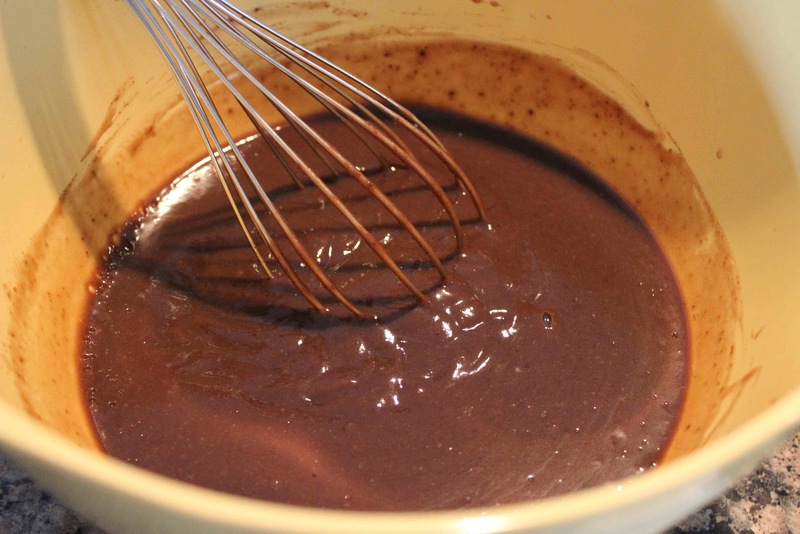 Instant pudding speeds up the process, and from start to finish, you can probably be eating these in about 10 minutes. Kids will also enjoying eating and making these! 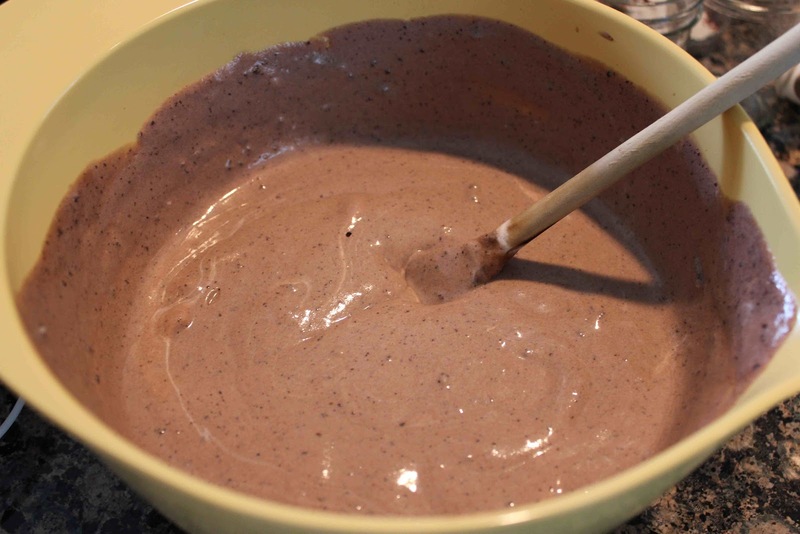 Combine milk and instant pudding mix until thick. Let stand 5 minutes. 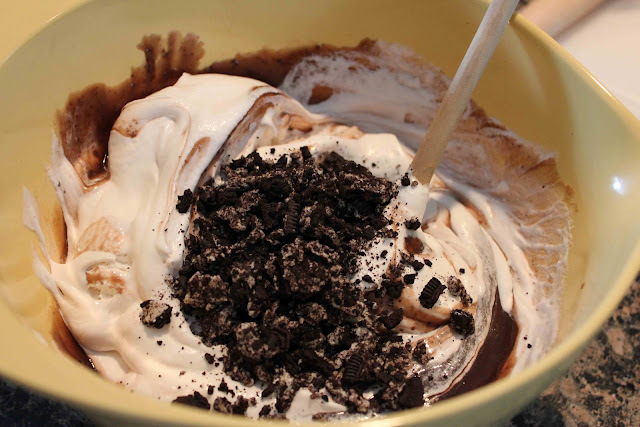 Add Cool Whip and crushed Oreos. Pour pudding mixture into individual mason jars. Don’t forget to add the gummy worm! 1. Whisk together the milk and instant pudding for two minutes, until pudding is completely dissolved. Let stand for 5 minutes. 3. 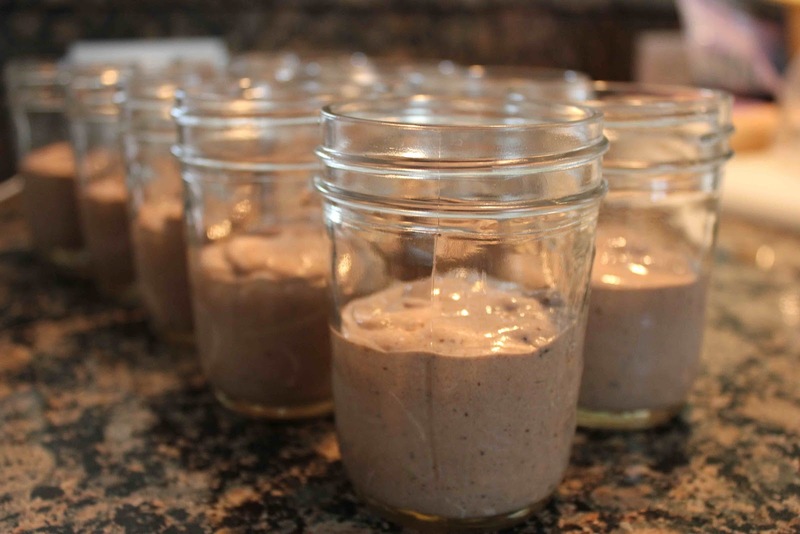 Spoon into 10 individual cups or mason jars. (If you’re feeling creative, use mini terra cotta pots). 4. Sprinkle remaining crushed Oreos over the pudding mixture. 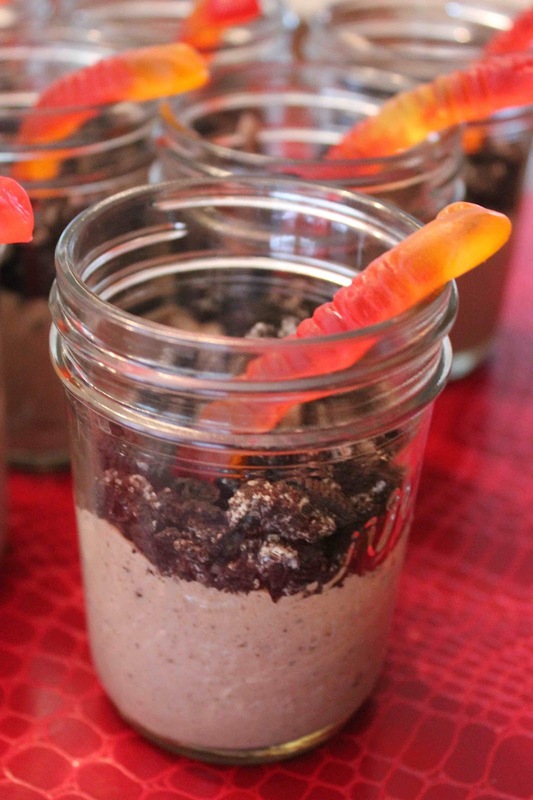 Top with gummy worms.